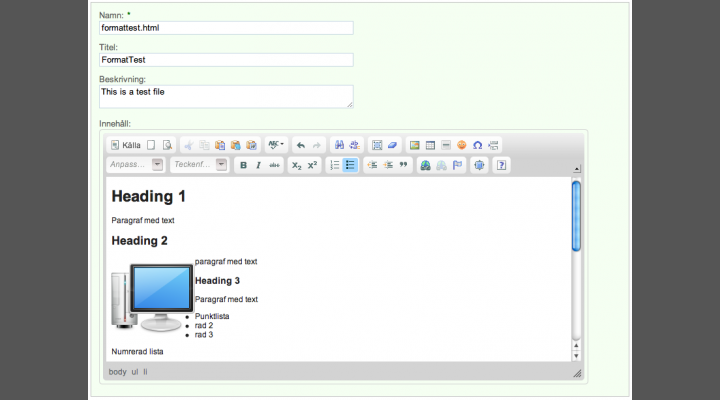 Alfresco Share use as standard TinyMCE for inline editing of html files. I needed to customize the editor for a project, but the TinyMCE editor used has some specific Alfresco customizations. Instead trying to understand the Alfresco code, I started from scratch and used the CKEditor, ckeditor.com. All standard functionality in CKEditor. 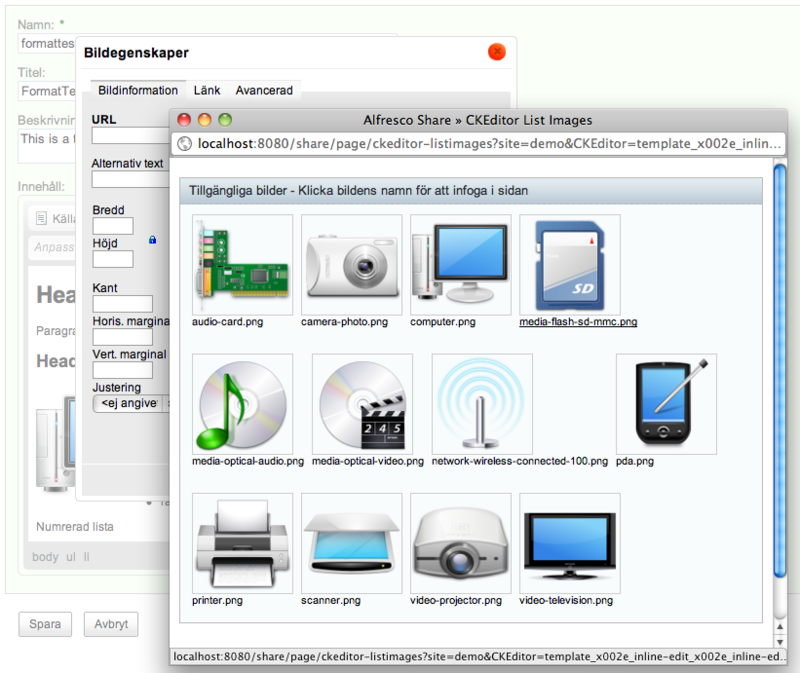 To install, copy the file ckeditor-form-control-0.1.jar to tomcat/webapps/share/WEB-INF/lib. Then change the form definitions as outlined above or copy the file ckeditor-config-custom.xml (remove .sample file ending) to tomcat/shared/classes/alfresco/web-extension and restart. The path should start without / and point to the location where you put your file. If you create a nice config file I can include it as an option file if you send it to me. Planning to add som custom config files in the future. More on how to configure CKEditor. To browse for images, click “browse on server” and you will get a list of thumbnails. I based it on the Images dashlet, so of course you can click on an image to get a large preview. To select an image, click on the filename.